Fred Parker’s car history is varied certainly and began with a French manufacturer, as my host explained. ‘The first car I ever owned was a Renault 10 back in 1972, unfortunately I didn’t have it too long as I destroyed it swerving to avoid a badger’. Another ‘10’ shares his garage today but the off road excursion that saw an end to one partnership prompted a part exchange for an older Fiat 124. 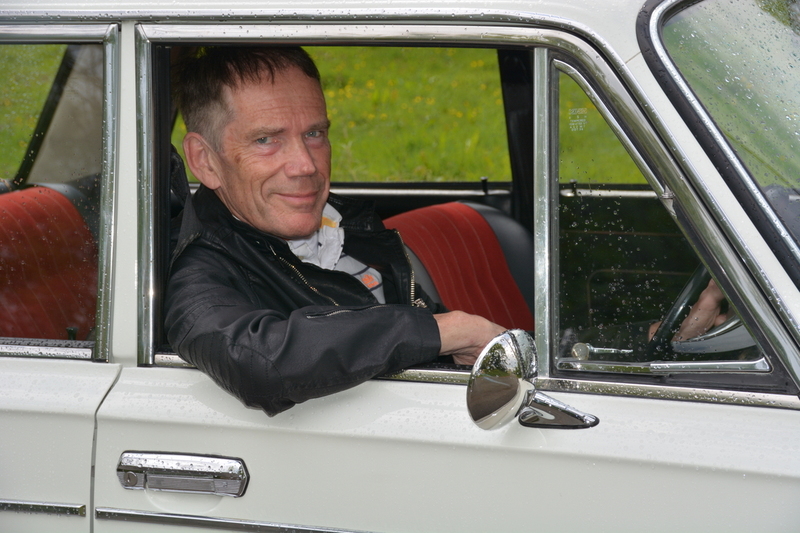 Fred recollects ‘there was no need to change the oil on the Fiat as I was constantly refilling the engine anyway’. Saying that, the 124 served him well and although its panels became thinner by the month, Mr Parker still feels ‘Deeply Dippy’ about this model today. With sporting performance and handling available on a slim budget another 124 from 1968 followed and this example was minus the mechanical drawbacks of the previous one, but courtesy of poor quality steel the rust bubbles were never far away. 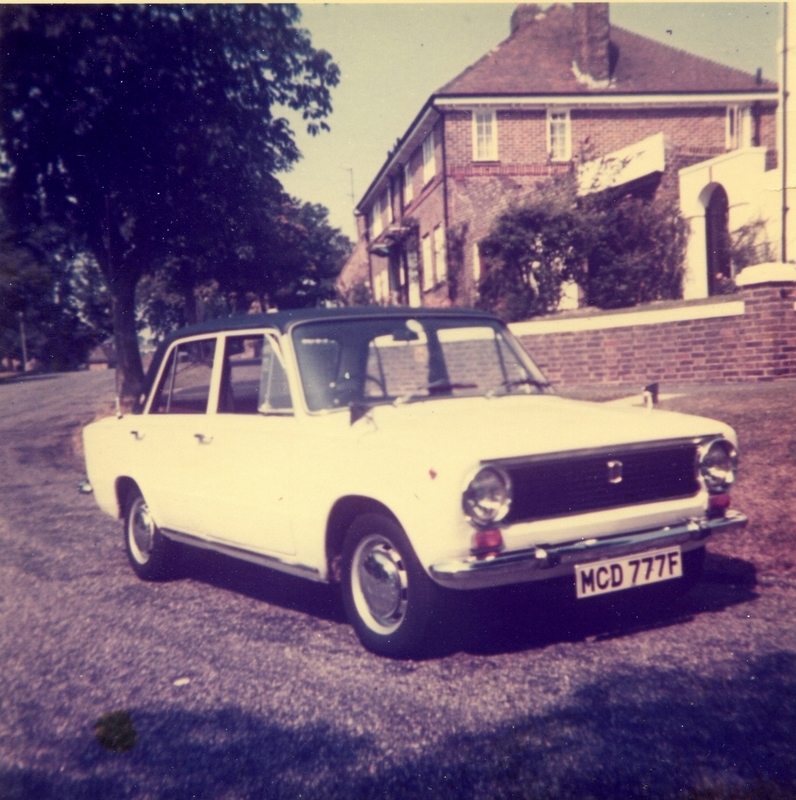 A magazine article encouraged his next purchase in 1975; a comparison between Fiat’s 131 Mirafiore and the Polski Fiat 125P advised that the Polish version offered good value for money for those on a limited budget and so on the 1st August a brand new car for just £1350. Fred couldn’t have been happier but the enjoyment was short lived as the performance package offered by the older 124 wasn’t matched by its Eastern Bloc copy. The suspension on the Polski may have been ideal for Communist terrain but offered poor ride and handling elsewhere. The engine used was from the older 1500 Fiat models with a three bearing crank; ‘it was seriously pedestrian’ Fred explained. After a year the 125P was traded for yet another 124 and as the 80s approached, this final example was fitted with Lampredi’s twin cam engine, although it was only a couple of years before tin-worm consumed this Fiat. Fred justified the choice by saying ‘the performance and entertaining driving experience easily made up for the rapidly dissolving body’; many concur this model became faster as the panels became thinner. 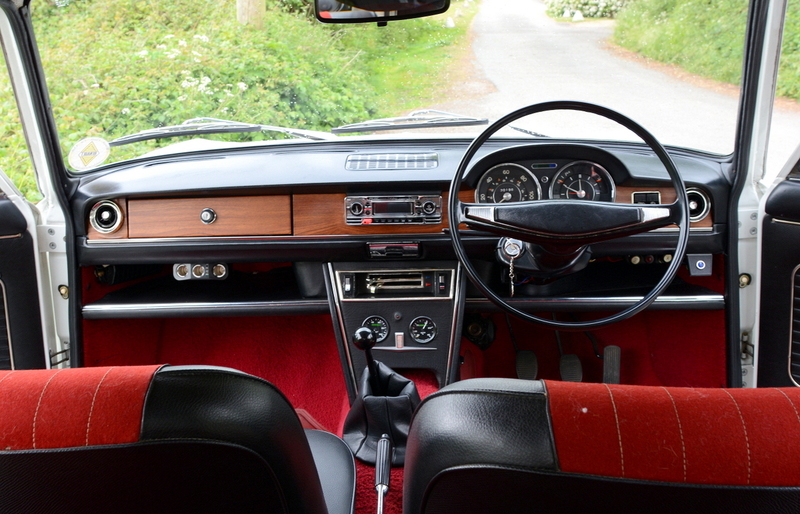 By 1981 our champion of 60s Fiat saloons believed (understandably) that there were few worthy 124 or 125 models remaining in the UK, his chariot of choice had become virtually extinct, at least those offering steering on the right. When Fiat took the floor pan from their 1300/1500 model and combined it with the best bits of the 124 Sport in 1967, the result was one of the most exciting saloon cars of the era. At its heart the 1608cc twin cam, courtesy of Aurelio Lampredi, an engineering genius who penned everything from a Vespa motor to Ferrari Grand Prix power of the late 40s and early 50s. The Lampredi design enjoyed success on the rally stages for a decade, whilst powering the brands road cars, including 603,000 Fiat 125 models built through until 1972. Variants were assembled by niche companies such as Moretti, Zagato, Savio, Pininfarina and Vignale. 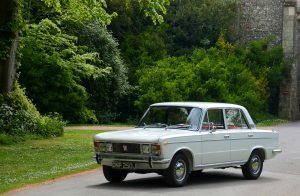 Production continued post 1972 although many agree that the Eastern Bloc examples from FSO/Polski etc failed to complement the original, whilst estate and coupe versions were also built in Argentina and Egypt into the 80s. 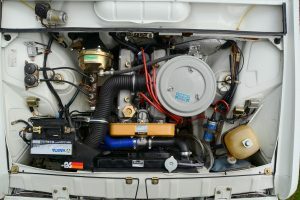 The standard 125 offered 90bhp whilst the ‘Special’ enjoyed a performance camshaft and modified inlet manifold, thus 100bhp was available and combined with a five-speed gearbox. Selection of the fifth gear ratio arrives at over 50mph and is certainly preferred as an overdrive, considering the 105mph top speed attainable in 4th gear. 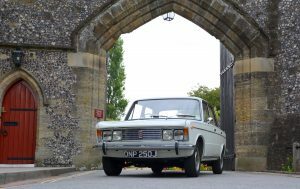 The ‘S’ also employed brake discs all round which were servo assisted; all of which culminated in a four door with performance written in its DNA. Why then have the classic fraternity failed to embrace this Italian gem? Well, outside these waters the 125 has fared better, especially around the Mediterranean, but let’s be honest, RHD examples were never prepared for the British climate. Thirty-two years on and a vacation in Malta offered a visit to the Classic Car Collection in Qawra, a museum built underground by enthusiast Carlo Galea and sat amongst a selection of British and American classics was a Fiat 125S. Fred remembers ‘my knees went a bit wobbly when I first saw this 23k mile example; just beautiful’. Exported direct to Malta in 1972 this ‘S’ version had one previous owner after limited use on the tiny island; being a former British colony it is also RHD. A deal was struck and the Fiat was transported back to the UK but what should have been Fred’s moment of glory turned into disaster. The 125 overheated very quickly due to years of standing with plain water acting as coolant and with the heater pipes removed evidence of a blocked system due to hard water deposits was obvious. The Lampredi engine required a rebuild and the expert consulted was Guy Croft, who advised the repair may not be a viable proposition. Fred replied that having brought the 125S all the way from the Southern Mediterranean he wasn’t about to throw in the towel. So, in January 2014 the motor was delivered to Guy at his works in Lincolnshire, the scene of creation for some of the finest Fiat and Lancia race engines. Towards the back end of 2014 the motor was completed but Guy Croft advised he would look to his official installer in Surrey to carry out the refit task. Mario the owner of Go Performance Cars took the 125S into his workshops and the addition of oil pressure and water temperature gauges was agreed. The gearbox was stripped, rebuilt and reinstalled with a racing clutch pack, an oil cooler was also fitted. From their first meeting in the Mediterranean, 18 months had passed before the Fiat arrived home and received its UK plates and Fred’s first distant trip resulted in a speeding ticket on the M25. The rolling road results confirmed that the Guy Croft motor offers 120bhp which the owner explained was good for a 110mph on a recent trip abroad, which was by no means flat-out! This 125S hasn’t been kind to the owner’s credit card and whilst Fred tries not to look at the invoices too much, it’s fair to say a cheap hatchback could have been purchased from a new car showroom. Two years later and 5k miles travelled the 125S remains immaculate and for the future a trip to the Fiat factory in Turin is planned. 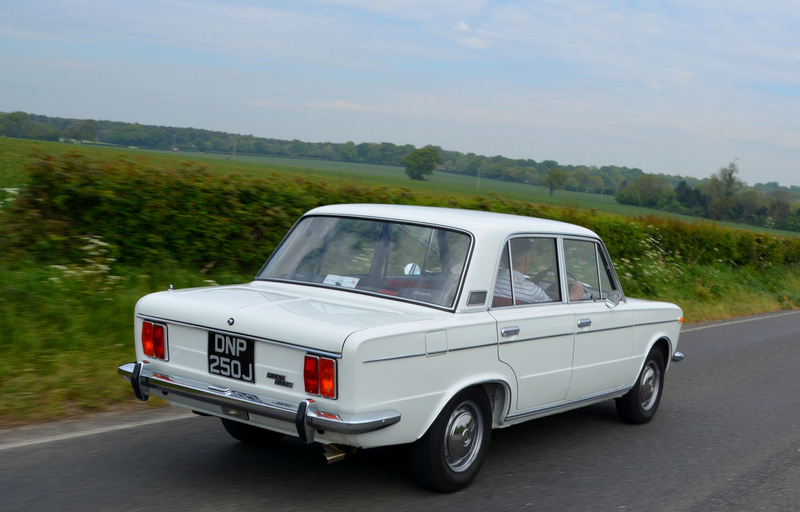 Long distances are tackled without fear and in comfort, this Fiat 125S seems happiest storming through the bends, the twin cam at 5000rpm and the exhaust emitting an Italian classic car soprano; one of just four roadworthy UK examples offering such music.